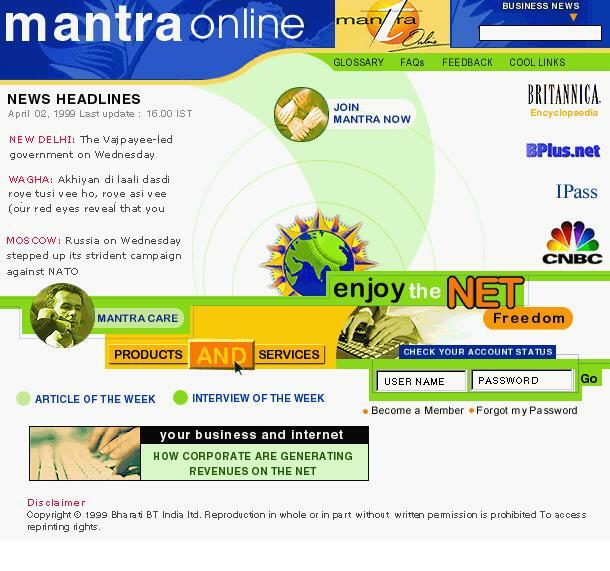 Mantra Online was a broadband venture of airtel. They want a website which reflects all the features of the services & other information. I have designed this site in the year 1999. It was a big portal at that time.